Atopalm creates technologically advanced patented formulas (their patented Multi Lamellar Emulsion delivery system) that are dermatologist- and ophthalmologist-tested. 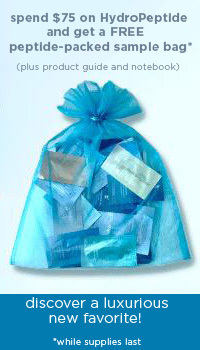 The company makes products that support those with dry skin, rosacea, and extremely sensitive or damaged skin. Atopalm Cream makes moisturizing Facial Cleansing Foam that is targeted for dry skin which is also sensitive. This is a foaming cleanser that is free of drying soaps; a perfect face lotion aimed at maintaining the pH balance your skin requires. DrSkinSpa.com is an Authorized Retailer of Atopalm. All Products are Guaranteed Authentic & Fresh. Atopalm Cream is the ultimate moisturizing cream for face and body. Even if your skin to add youthful hydration to just about any part of your body. Atopalm’s products, such as their cream for face and body, contain botanical ingredients that are safe for your body and contain no parabens. 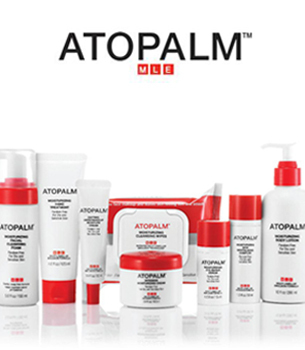 Atopalm creates technologically advanced patented formulas (their patented Multi Lamellar Emulsion delivery system) that are dermatologist and ophthalmologist tested. The company makes products that support those with dry skin, rosacea, and extremely sensitive or damaged skin, Atopalm Cream makes moisturizing Facial Cleansing Foam that is targeted for dry skin that is also sensitive. This is a foaming cleanser that is free of drying soaps; a perfect face lotion aimed at maintained the pH balance your skin requires. Using this face lotion every day will make your skin stay soft and supple. Atopalm Cleanser will perfectly cleanse your face as only a quality cleansing face lotion can, using ingredients from nature such as lemons and bitter orange extract. The Atopalm Cream Intensive Moisturizing Cream is so intense, you’ll wonder how your skin has ever done without it. The wonder of Atopalm cream for face or body is the way it allows the outer layers of your skin to absorb lipids and enable the soft feeling you will be craving again and again. If you’ve accumulated sun damage or need skin repair from microdermabrasion, look no further than Atopalm Intensive Moisturizing Cream for face. This is a face lotion or cream that will defy eczema and soothe sensitive skin. This Atopalm face lotion works best when used in tandem with Atopalm Cleansing Foam. It contains jojobo seed oil, allantoin, arginine, olive fruit oil, grape seed oil, and other botanical and natural elements. What about other parts of the body besides the face? Atopalm has that covered, too. If your feet and heels feel rough, it’s probably due to dry skin conditions. The skin on your feet, especially the heels, may be cracked with dry skin, especially in colder weather. Enter Atopalm Moisturizing Foot and Heel Balm. If you have callouses on your feet, this is also the right solution for your dry skin. The main ingredient in Atopalm Foot Balm is Multi Lamellar Emulsion that initiates the sloughing off of dead skin cells, bringing new skin to light, at a perfectly timed rate of action. Eucalyptus oil is a natural anti-fungal, perfect for those nasty foot odors that can crop up. If you want to have baby soft feet once again, Atopalm Foot Balm is the perfect fit. Try it on your hands too for those tough spots that form due to hard work in the garden or home. The Atopalm Cream Revitalizing Complex is the all around perfect cream for face issues. 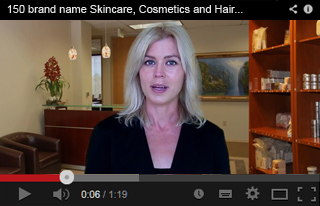 The natural retinol will reduce lines and wrinkles and aid dry skin. Atopalm is perfect because it contains K6PC-5, a compound that blocks oxidation of retinol, making it last much longer than in other cream for face issues.